AD - Contains affiliate links and Levis jacket gifted by Swindon Outlet. I'm referring to the fact that I am wearing another version of what I had on yesterday. Today's activities and the fairer weather means I'm out of my jeans again! Yassss! If it ain't broke and all that. 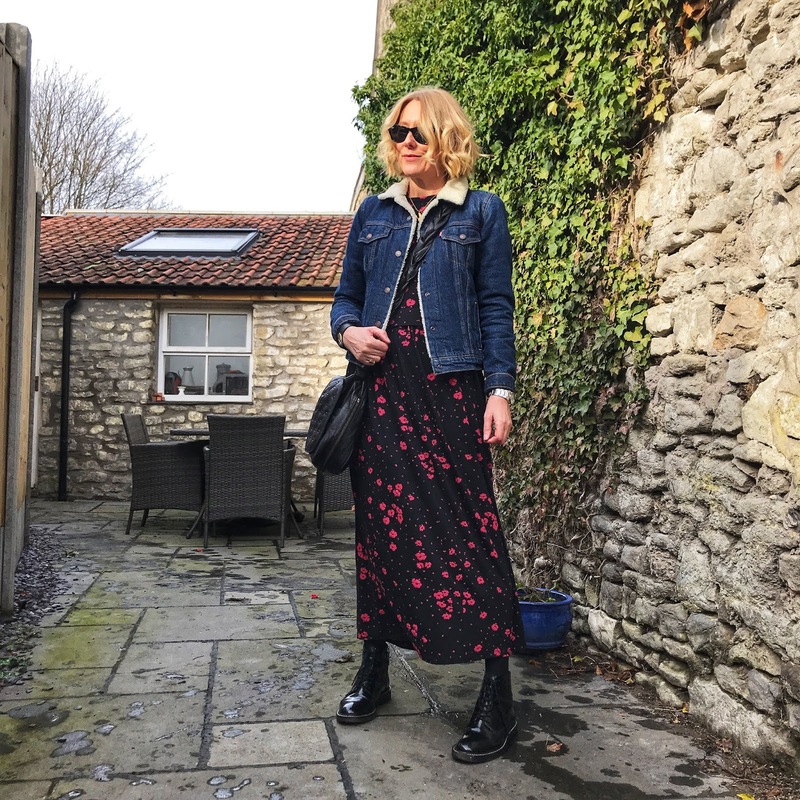 midi dress ✔ Biker or denim jacket ✔ Chunky boots ✔ Job done! Here is a little flavour of what bargains they have on offer at the moment. I didn't come empty handed......I will reveal all tomorrow in my weekly confession post. It's been all about the preloved and outlet shopping this week.